A 21st birthday calls to get rowdy, celebrate and is the perfect occasion for an offensive card to mark the momentous occasion; after all, this birthday is only a milestone because it marks that they’ve reached the legal drinking age. We offer the widest selection, best prices, and funniest offensive 21st birthday cards. All of our cards are organised neatly and conveniently, so you can quickly find exactly what you’re looking for with little or no hassle, and they’re available for delivery, so you won’t even have to leave your home, talk about convenience. We can help you find the best silly, rude, and funny birthday cards for your daughter, son, sister, brother, grandchild, friend, or anyone else you know who’s about to hit this milestone in their lives. 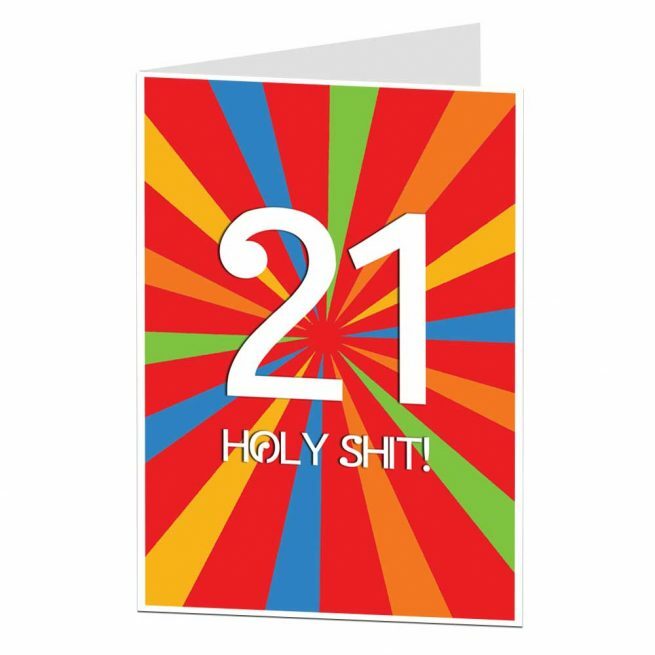 We have the widest selection of reasonably priced, funny 21st birthday cards on the market. We have a large variety of offensively funny cards, so you can pick the one that will best amuse your loved one. If less offensive and sillier cards are more your style, we’ve got a few of those as well, so you won’t be disappointed. You’re sure to find the perfect care for your loved one through our vast cards online. Not only does our online store offer the largest selection of funny cards, but we also offer the most user-friendly platform. All of our many products are organized neatly and conveniently, so you can find everything you need quickly and easily. You’ll be able to find the perfect 21st birthday card for your son, daughter, niece, nephew, or grandchild easily, order it quickly and have it delivered directly to your home without you ever having to leave the house. Our cards are made of the highest quality and offered at the lowest price. You won’t find a wider selection at a more affordable price. Our easily navigated website offers a low price and convenient delivery. You won’t even have to leave your couch to find the right card at the ideal price. We even offer deals when you order in bulk (we have a discounted option for three cards and ten cards) so that you can be sure you’re getting the absolute best value. 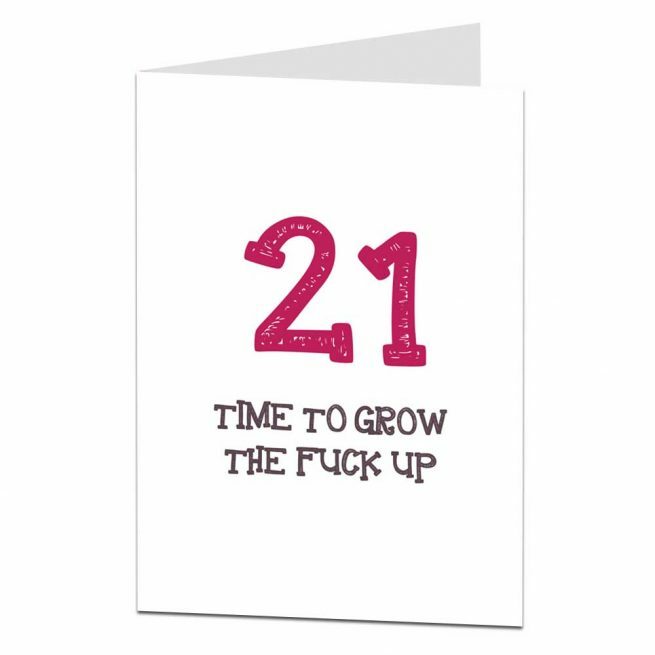 If you’re looking for that perfect funny, rude 21st birthday card, we have you covered. We offer a wide selection of funny cards ranging from clean to offensive; all organized neatly on our website so you can find exactly what you’re looking for quickly and easily. Our cards are all of the highest quality and marked at the lowest price possible; we even offer you discounts when you purchase three or ten cards. All of our cards are available for convenient delivery straight to your home, so you won’t have to leave or even put on pants to find the right card for your loved one. Keep up with all the latest product information, discount codes and what we had for lunch.